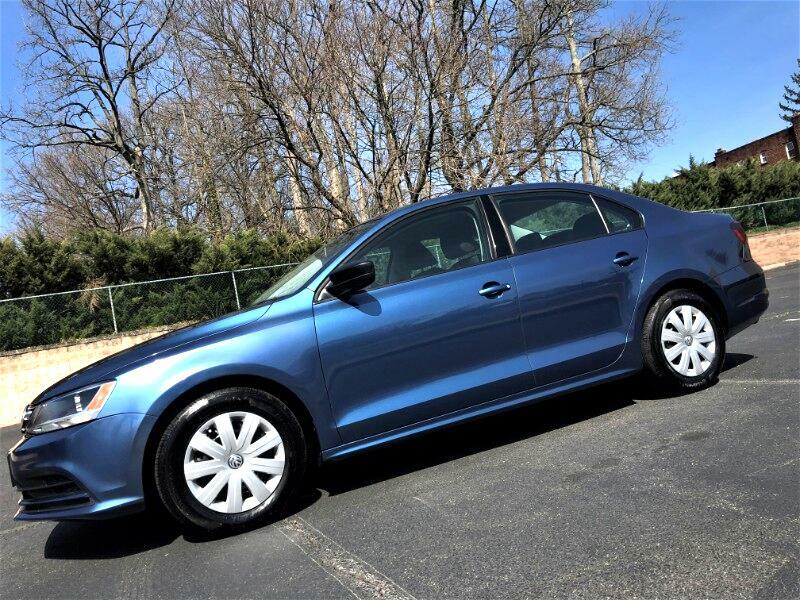 2016 Volkswagen Jetta with only 31,471 miles. In perfect condition and filled with great options. 1 owner, never been in any accidents, previously a Personal Lease Vehicle(as opposed to a corporate lease/rental fleet/taxi services). Gas Saver with ratings of 28 city/39 highway MPG. Features like Heated Side View Mirrors, Premium Touch Screen Center Console, Bluetooth, Streaming Bluetooth Audio, USB Port, Aux Port, and more. Volkswagen's Drivetrain/Powertrain warranty until of February of 2021 or 60k miles. Volkswagen's Emissions warranty until of February of 2024 or 80k miles. Volkswagen's Factory Powertrain/Drivetrain Warranty still active until February of 2021 or until odometer reads 60,000 miles. Volkswagen's Factory Emissions Warranty still active until February of 2024 or until odometer reads 80,000 miles. *Eligible for purchase of comprehensive bumper to bumper coverage with duration up to year 2026 or until odometer reads 125k miles.